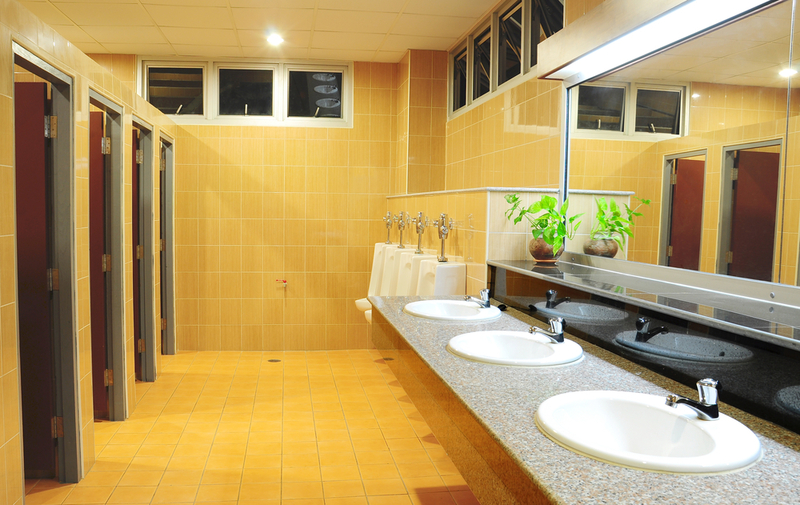 Preventing cross-contamination in restrooms throughout businesses is a growing concern given the rise in germ based illnesses. While often seen in medical facilities, the “Superbugs” that were once only common illnesses are becoming resilient to antibiotics. Why, cross-contamination, pure and simple. A commercial cleaning company will be able to assist businesses and medical facilities in preventing cross-contamination in restrooms on a larger scale than the typical housekeeping department. The weather during the summer months can be temperamental at best especially on the east coast. However, here in Greenville, SC the summers are a hot, sticky mess and a virtual breeding ground for germ and bacterial growth. Getting the upper hand and keeping the growth at bay is vital during the demanding heat of the summer months. While cross-contamination can happen anywhere, it is most common in the restrooms where the activity of human waste and bodily fluids easily and regularity comes into contact with the skin and hands of individuals. You cannot prevent what everyone does, but you can put measures into place to prevent cross-contamination. A commercial cleaning company that is trained and experienced in medical contamination issues would be the best choice for a business to have. While the typical business is not necessarily concerned with a “medical” outlook, the plus side is that there is the benefit of reduced illnesses within the company, improved health of both visitors, employees and if applicable residents as well as the overall increased sanitary needs. By looking at the outside of the box benefits, a business can realize and reap the potential rewards. The prevention of cross-contamination in restrooms is always going to be an uphill battle. The flow of traffic in and out of bathroom cannot always be controlled. A commercial cleaning company that comes in and concentrates their efforts will have a higher success rate than the average Joe. They have the ability and resources to set aside tools and supplies that are utilized only for walls, toilets, sinks, floors, urinals and more. Each facet of a restroom can and often does have its own set of tools of the trade. Whereas your typical housekeeping department has one set of tools on their cart and a very short window of time in which to rush through the bathroom and get it done. 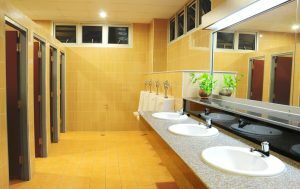 The order in which the restrooms are cleaned is also another preventing cross-contamination in restrooms process. Cleaning inside the toilets before you wipe the mirrors is basic common sense but can easily be missed by the rushed housekeeping department just as changing out the water during the process. A commercial cleaning company can conduct their services when customers or foot traffic is at its least. In doing so, they are essentially preventing the cross-contamination in restrooms from the start. While cleaning, the stirring of germs and their trusty sidekicks the spores are gaining air and free floating. Without walking hosts, they have nowhere to go or anyone to leave with. Winning the war on cross-contamination requires the use of professionals who have the skills, resources and training to deal with the various troublemakers. Preventing cross-contamination in the restrooms of businesses and medical facilities in and around Greenville, South Carolina can be tricky in the least form but with diligence and hard work, it can be done safely while also educating the public on how better to do it elsewhere.